Home » OPINION PIECES » DLC and microtransactions: have they become predatory, or is it all in good fun? DLC and microtransactions: have they become predatory, or is it all in good fun? As yet another year reaches its conclusion, it’s only natural for one to look back and marvel at how far gaming has come. From the early days of Pong, to the modern era of online multiplayer, to the glimpses of the future where VR and AR headsets might have a place in the living room, gaming has come a long way. 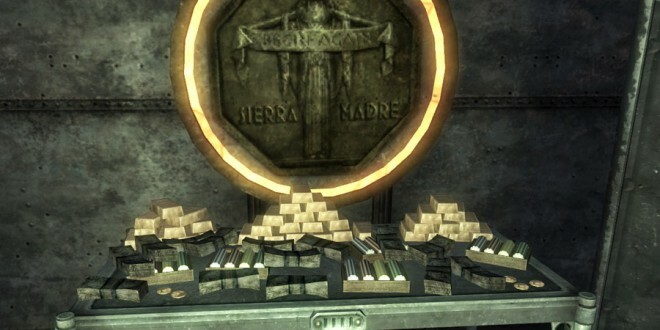 However, as games have become more and more advanced, methods of extracting more and more money from those who play games have evolved as well, leading to rather questionable business practices that may or may not be necessary evils. The latest year of gaming provides more than ample proof of that. Like it or not, games have slowly (but steadily) incorporated microtransactions into their marketplaces, offering cosmetic items or some such alongside (or in some cases, in lieu of) traditional DLC packs. 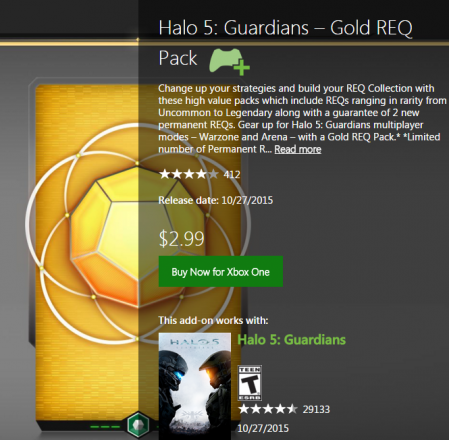 Halo 5, for example, offers free DLC in the form of maps, updates, and features. To compensate for the free additions to the game, Halo 5 also has an option where you can essentially gamble with real money for in-game items. True, the items only impact your performance in a singular playlist, and even then you can get said items through normal gameplay, but the option exists nonetheless. 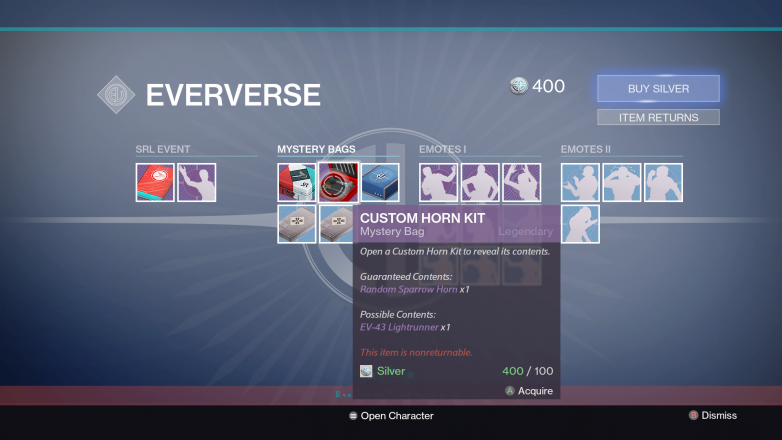 On the flipside, games like Destiny have all but embraced microtransaction models that are eerily similar to those employed by free to play games. 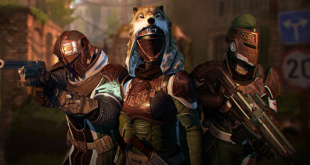 You can pay up to $10 for randomly determined cosmetic items, or in more recent news, you can spend $30 to be able to level up a subclass that would normally take perhaps a month of grinding. 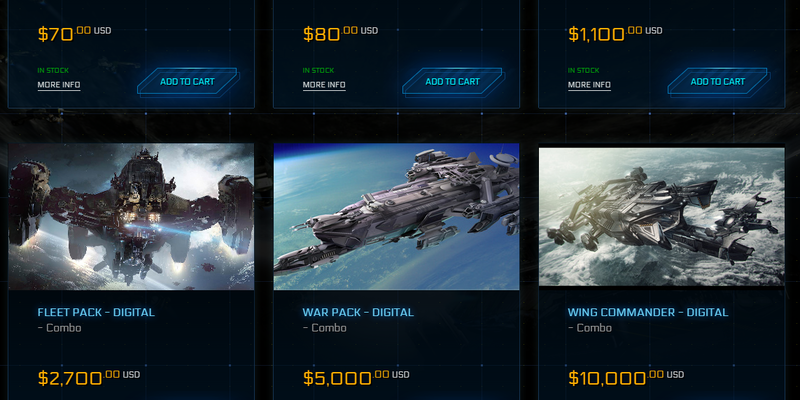 In an extreme scenario, there’s also Star Citizen, the poster child for spending real money on things that don’t even exist. True, such purchases are entirely optional and don’t impact the game (yet), but one cannot help but feel that there is a conflict of interest at play here. 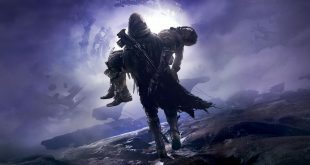 Take Destiny’s recent option of letting you essentially buy a fully leveled subclass. Abnormally expensive, but completely optional. However, the fact that it takes so long to level up a subclass is an issue that every Destiny player is aware of. Rather than increase the rate at which you level up, Bungie has an incentive to keep the upgrade rate low so that newer players will be encouraged to buy the upgrade pack. Similarly, 343 has an incentive to add more items to Halo 5 so that if there is a specific item you are looking for, you will either have to play more or pay more. There’s no particular rush to finish Star Citizen because it has been proven that once people believe that their money will make the game better, they will keep funding it. When something says “Mystery Bag”, that usually means that its a good thing, right? All these scenarios rely upon a small group of people spending a lot of money per person. Unfortunate for them, but it is not a new concept. Those that are new to a game, those who are completionists, those who are faithful to a company, and those who are simply easy to sway are all prime targets for such “deals”. 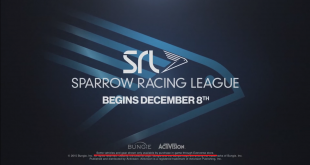 Traditional DLC models at least guarantee a fixed product for a fixed price; you buy a season pass, and you are getting a guarantee that you will receive something by a certain date. In such a sense, the new generation of DLCs and microtransactions are very predatory, as they exploit certain behaviors for monetary gain while making a promise that you might get a certain thing (a model that isn’t too dissimilar to gambling). Of course, there’s the inevitable counterargument that if people want to spend egregious amounts of money on optional items that carries a certain risk then that’s their problem. Such a statement is absolutely true, but is it responsible from an ethical standpoint to allow such things to happen? What if it actively detracts from a game? At what point does a game become too expensive? The answer to such questions is based on your own personal responsibility, but it is entirely possible that at some point, companies will simply leave those who are responsible in the dust because they will push the boundaries of what is considered acceptable DLC and microtransactions. Next Star Wars: The Force Awakens review: Does it live up to its name?